Everyone knows that childbirth hurts, but how bad will the pain get? What happens in the delivery room – and what pain relief is available? It is the most natural thing in the world – a mother giving birth to her child. Millions of women across the world deliver their babies into the world each year, soon forgetting the agonising pain as soon as their tiny bundle of joy is placed in their arms. Babies can enter the world one of two ways, via a vaginal birth or Caesarean section. In the case of a vaginal birth, a woman’s body adapts stretching and expanding where necessary to allow the baby to arrive safely into the world. 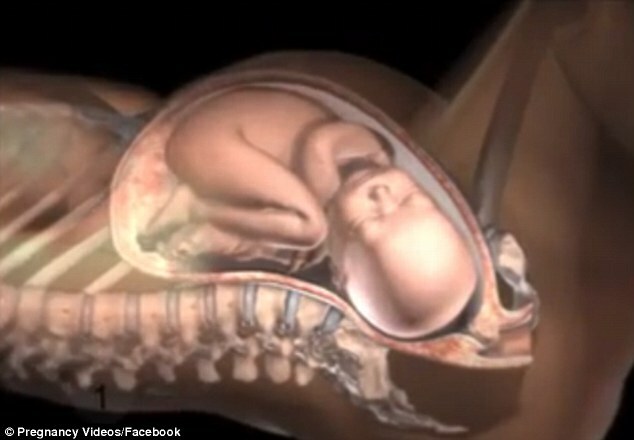 Now, a video animation reveals exactly how a woman’s body adjusts during childbirth. Regular contractions signal the start of the process, occurring as the cervix dilates to accommodate birth.